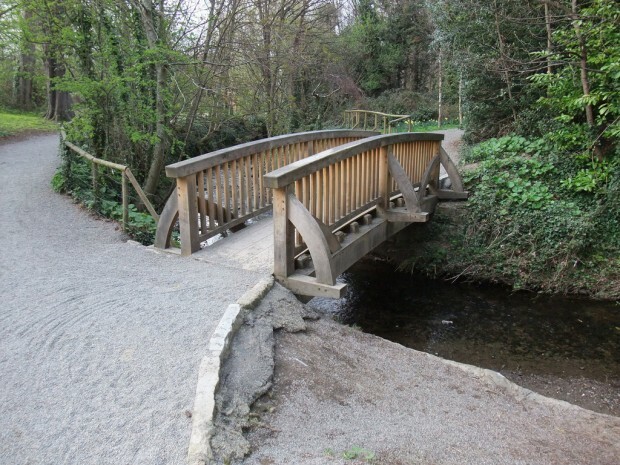 St. Enda’s Park in Rathfarnham is best known as the pastoral setting for St. Enda’s School, which was run by Padraig Pearse. 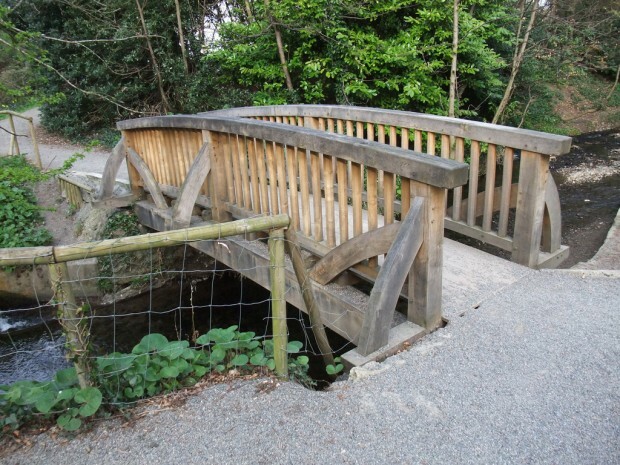 The former school building now houses the Pearse Museum, and it’s surrounded by nearly 50 acres of parkland, originally laid out in the 18th century and including a series of follies, with playing fields and a café offering a few more modern amenities.The small Whitechurch Stream runs through the park, with a small lake and several crossing-points. 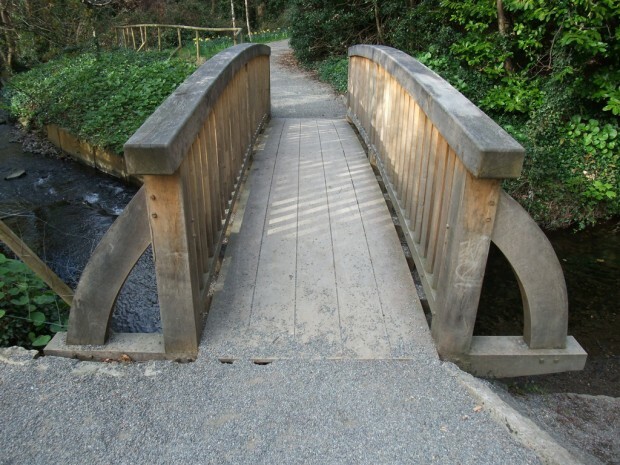 This footbridge across the stream was designed, constructed and raised by Paul Price for the Office of Public Works. 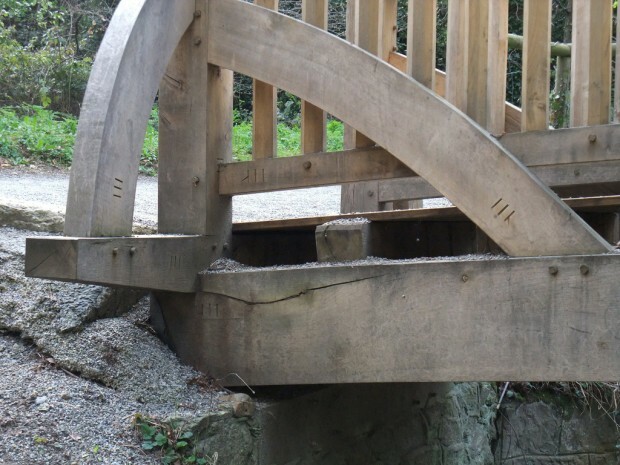 It’s dowelled and jointed, constructed entirely out of timber, with a single Irish oak providing the two main beams and handrails. 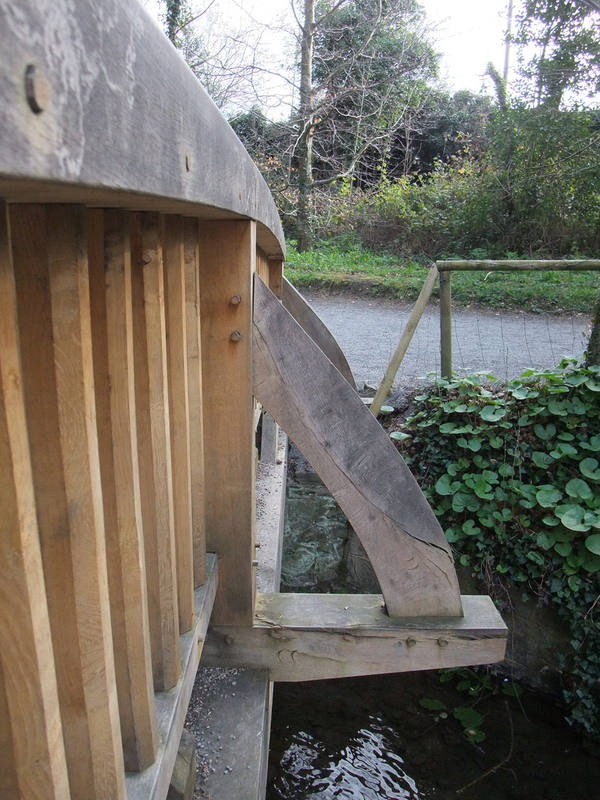 The deck (made from quartersawn oak) runs longitudinally. 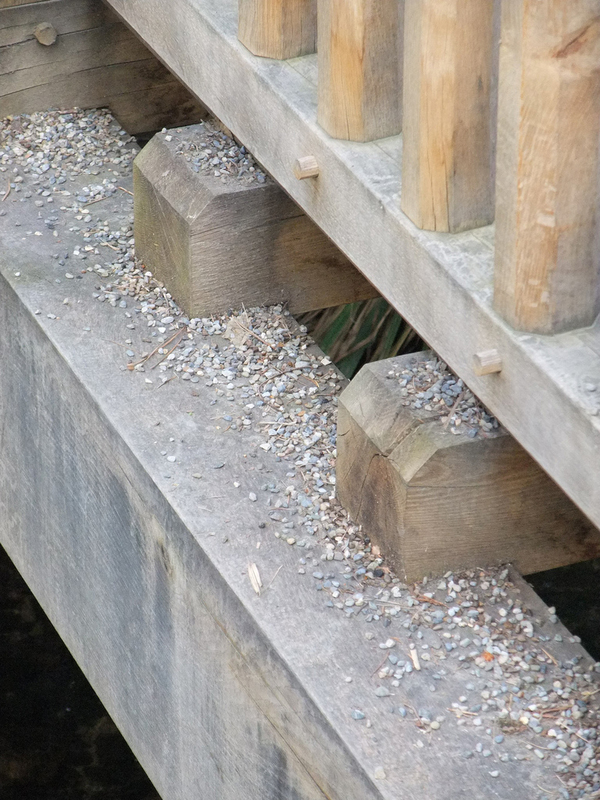 As there’s a low area on the bank to one side, it’s possible to step down and see how the structure is working under the deck, without getting your feet wet. 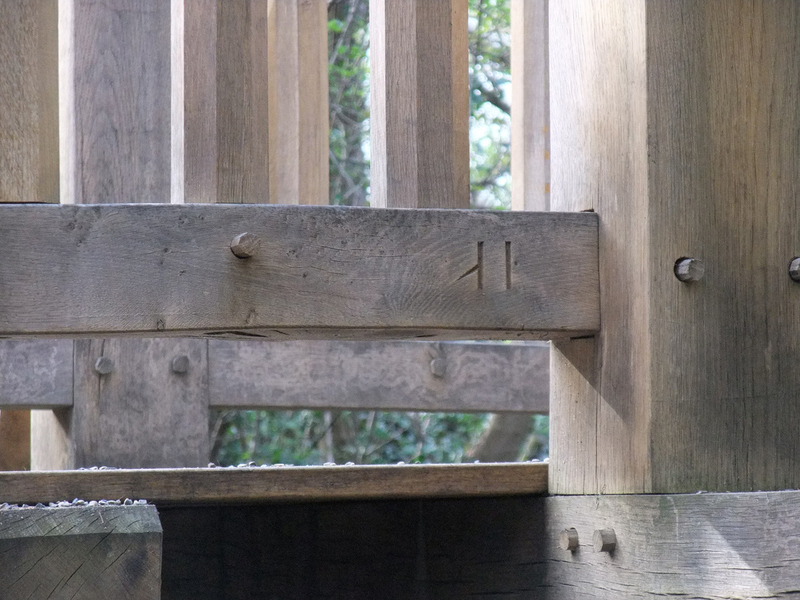 For me, the highlight is the carpenter’s marks, a traditional means of identifying components, as well as a way for craftsmen to add their initials or any other inscription. 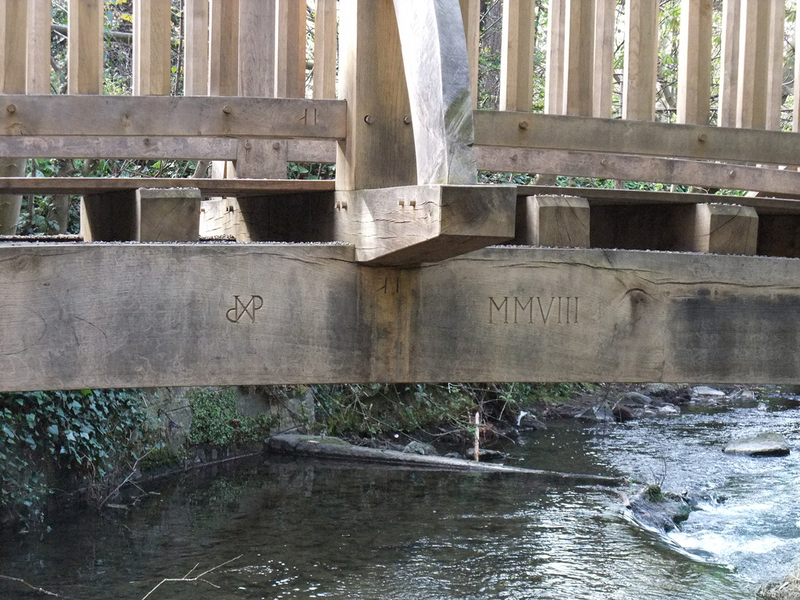 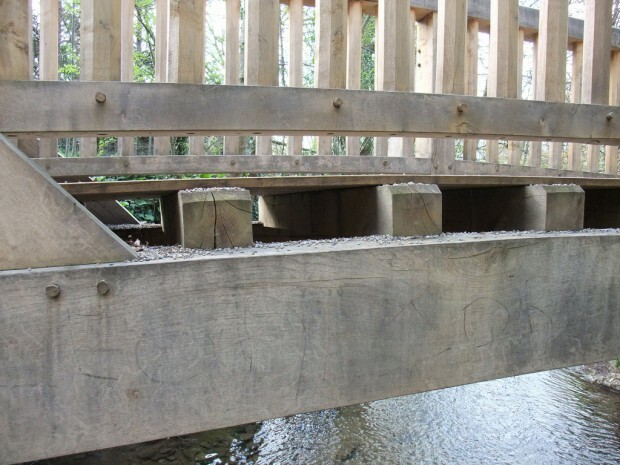 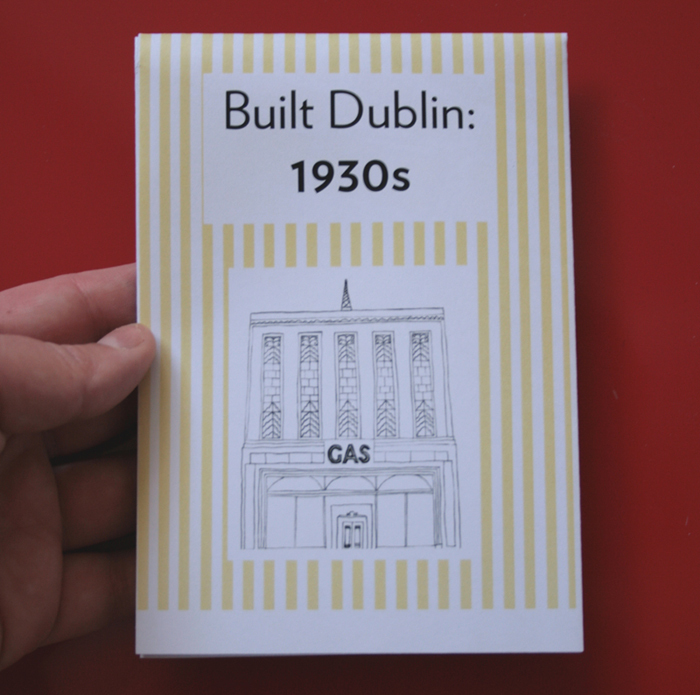 Paul Price has carved his monograph and the date of construction – MMVIII (2008) – as well as marking each bridge member by the major junction into which it connects (for example, ‘III’). The bridge is beautifully made by any measure, but the traditional structure seems particularly well suited to the park’s history.